Wallace Presbyterian Church has set up a new method for you to give to the church. Tithe.ly is a web-based giving platform that allows you to give to the church using your smart phone, tablet or computer. You can set up a recurring payment from your checking account (ACH or eCheck,) debit card or credit cards (VISA, MasterCard, or AMEX.) Payments can be one time or repeated. You can also create an account or give as a guest without having an account. Tithe.ly streamlines the giving process with its app that we have added to our website. It will allow you to give without leaving the web page. Likewise, you can give directly from your smart phone, after downloading the Tithe.ly app from your App Store. Tithe.ly is available for iOS, Android, and the web. Giving through the app can be completed in just 30 seconds. Tithe.ly’s simple methods means that givers don’t have to learn complex methods of giving. Online giving using Credit/Debit Cards always incur fees from the credit card company to process your payment. However, Tithe.ly’s fees are the lowest you’ll find for this type of service. They do not charge for setup or have ongoing fees. They’re charged on a per-transaction basis at $0.30 + 2.9%. If you would like, you can also automatically increase your giving to cover these costs or just let it be deducted from your gift. Computer, Tablet or Smartphone. Tithe.ly works beautifully on any device, with just the right amount of security that you’re details are safe, but it’s not ridiculously annoying every time you try to access your account. Geolocation. Tithe.ly has a nifty little feature that geolocates the nearest church in the area (that currently has a Tithe.ly account set up), so if you’re physically in your church’s building, or you live close by, chances are your church will be located automatically. Of course, you can search by church name too, but there’s something cool about being able to click on “Give to the nearest church” and seeing your own church’s Tithe.ly page appear. By the way, we’re the only church in Duplin County that is using Tithe.ly. We expect that to change fairly quickly. Intuitive. Tithe.ly is so intuitive. All you need to do is follow the prompts. All the info you need is displayed in the right places, and it makes online giving so easy. You can give to the church in under 10 seconds, using only your 4-digit Tithe.ly passcode. Covering Fees. As mentioned before, as part of the giving process, Tithe.ly allows you to select an option to “cover fees” as part of your transaction. If you select this option, you become the one to pay the $0.30 + 2.9% transaction fees, rather than the church. Reporting. Receipts and reporting are easy with Tithe.ly, for both the user and the church’s Treasurer (aka Wayne Casteen.) All users have access to their receipts and records of their giving activity. There are loads of other features we love about Tithe.ly (like Text-to-Give, Giving Kiosks, and their great video resources) but the best thing to do is visit their website and see for yourself. After the initial gift, all funds are transferred daily as they are received. The following video provides an overview of Tithely. How do I download and install the Tithe.ly App? To download the Tithe.ly app, you can click on the links at the bottom of the page for Android or iOS. Or you can search “Tithely” in your smartphone’s app store. 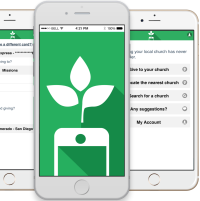 Once you’ve download and installed the Tithe.ly App on your smartphone, create your account by clicking “Create Account.” Once your account is created, you can search for the church by using the search box located at the top or you can click on the “find nearest church” button if you are near the church. When you have found it and are ready to give just click the “Give Now” button and complete the giving form! How do I log into my Tithe.ly account? You can login to your Tithe.ly account from the Tithe.ly app or through the web. The three options are detailed below. If you’ve installed the Tithe.ly app, you can simply open the app on your smartphone, enter your username and password, and click on “Log In”. Forgot your password? Reset it by following these instructions. If you normally give by going through your church/ministry website, you can log into your Tithe.ly account online by clicking the giving button on the churches website, clicking the “Login/Signup” link located in the top right corner, and then entering your login information. If the above two ways are not how you normally access Tithe.ly, you can simply go to https://tithe.ly/give and log into your Tithe.ly account by clicking the “Login/Signup”link located in the top right corner and entering your login information. Do I have to have a Tithe.ly account to give? No! You can absolutely donate, register, or pay without signing up for a Tithe.ly account except for when using text-to-give or the Tithe.ly mobile app where having an account is required. When giving, registering, or paying via the Tithe.ly web giving form you do NOT have to create a Tithe.ly account to make one-time or recurring donations. We wanted to make that process easy and pain-free. You can start giving from your favorite organization’s website at any time. However if you’d like to make giving as easy as possible and have the opportunity to take advantage of all the Tithe.ly features, you’ll have to create an account. Do I receive a receipt after giving? Is Tithe.ly safe and secure to use? All financial information is encrypted and stored by our banking partner to PCI DSS Level 1 compliant standards. PCI DSS Level 1 compliance is a set of rules stated by credit card companies and audited by an independent third party. It is the highest possible rating one can get in the electronic payment processing industry. Additionally, all transmission to our banking partner and on our site is via an encrypted 256-bit HTTPS SSL connection.